The latest off-highway control in the DSE family from Deep Sea Electronics (UK) is the DSEM240. The CAN slave unit is designed to work alongside other controllers to provide additional I/Os to help meet the demands of more complex systems. 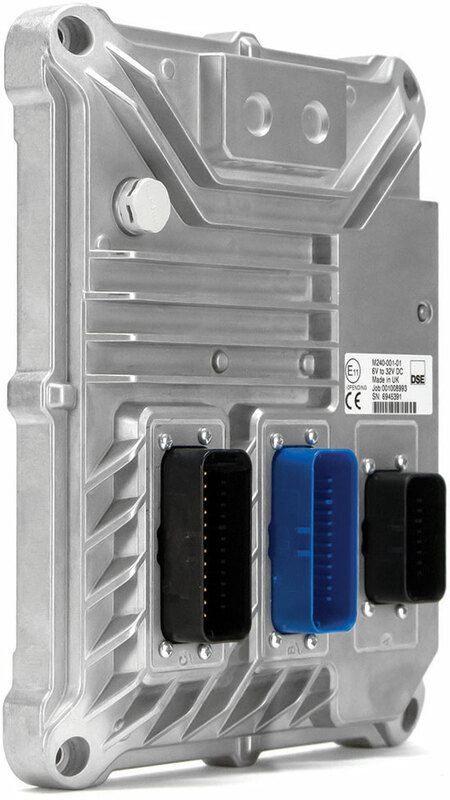 The DSEM240 is compatible with all DSEM series controllers or any CANopen or J1939 device, and will help create a bespoke solution for off-highway or vehicle applications. The latest slave unit is available in both CANopen and J1939 variants and replicates many of the features of its DSEM series brothers, said the company. Designed specifically for the robust environment of the mobile industry, the controllers provide a number of features which make the products suitable for a variety of applications. The device comes with fully configurable I/Os with inputs offering digital and analog capability and outputs offering digital, PWM, and PWMi capability. Output current monitoring, an operating temperature of -40 °C to + 85 °C, and IP67 rating for superior protection against ingress of dust, water, and other contaminants are provided. EN, ECE, and ISO testing for shocks & bumps, vibration, salt spray, EMC and electrical safety is also featured. A specialized breather equalizes pressure and reduces condensation while a robust aluminum die-cast housing is made for the toughest environments. The DSEM series includes a range of programmable displays designed to work either alongside the controllers or as stand alone products. 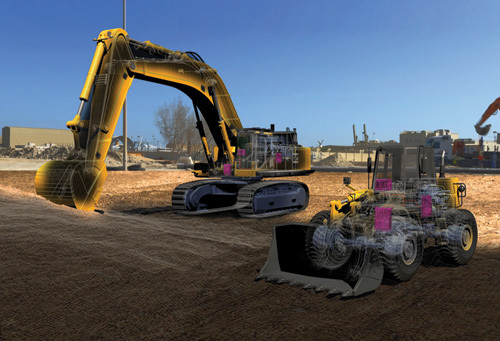 The DSEM870 and DSEM840 offer a choice of fixings for in-cab or panel mounting to suit multiple operator locations. The displays provide a user interface for controlling equipment through an optically bonded, color screen and button fascia. Many of the standard switches and controls that are normally found within the cab or control panel can be incorporated into the on-screen functions, to enable full control through one device if required, leading to a simplified system design. The fully programmable screen presents clear information in a combination of text, graphical, numerical and icon formats providing the user access to equipment operational functions. Designed for instantaneous operator response times the controller incorporates a powerful ARM processors with plenty of memory for the most complex applications, said the company. Features include camera inputs for improved operator visibility, multiple configurable inputs and outputs, independent CAN interfaces for J1939, CANopen, and CAN Layer 2, and Ethernet communications. According to the company, the displays are reliable throughout the harshest environmental conditions including humidity and extreme temperatures, and are IP67/Nema 6 rated. The harsh environment of the various mines on the African continent has not been an obstacle for the DSEM series, with a number of OEMs (original equipment manufacturer) integrating them into multiple applications within mining environments. Fire appliance OEMs worldwide are incorporating the DSEM controllers, displays, and battery chargers into their emergency vehicles. Whether the appliance requires amidships or a rear pumping configuration the controllers series is being utilized, providing a level of control suited to the application from simple manual control up to full closed loop control managing the full demand of the system. High, low, and compound (vacuum) pressures are monitored to provide the required pressure set point. Quarrying, mining, and recycling has become a significant growth area for the DSEM series as a result of Hillhead 2018 where DSE customers were giving working demonstrations of their equipment with integrated DSE control solutions. The company’s displays are being included in ground support vehicles which come into close proximity to the aircraft such as mobile passenger steps. Sophisticated features including the camera inputs will aid the operator and prevent aircraft bodies from being touched by the large equipment, preventing unnecessary delays.